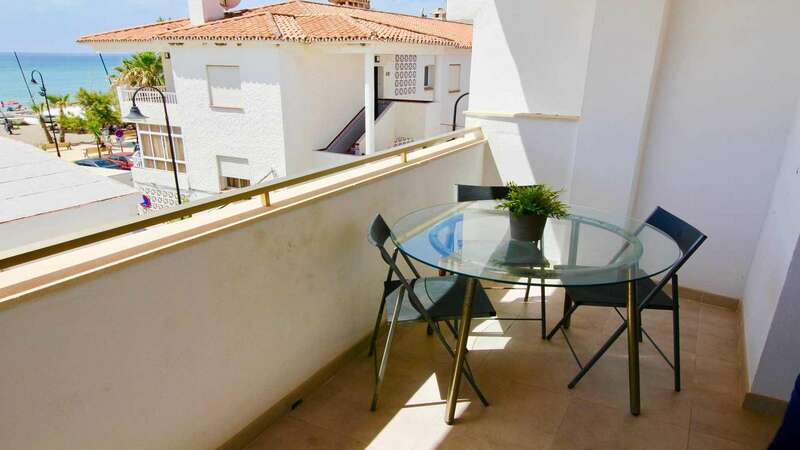 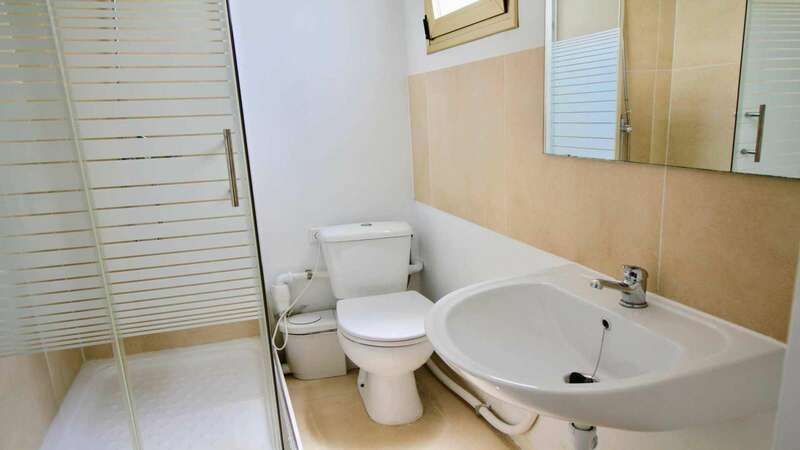 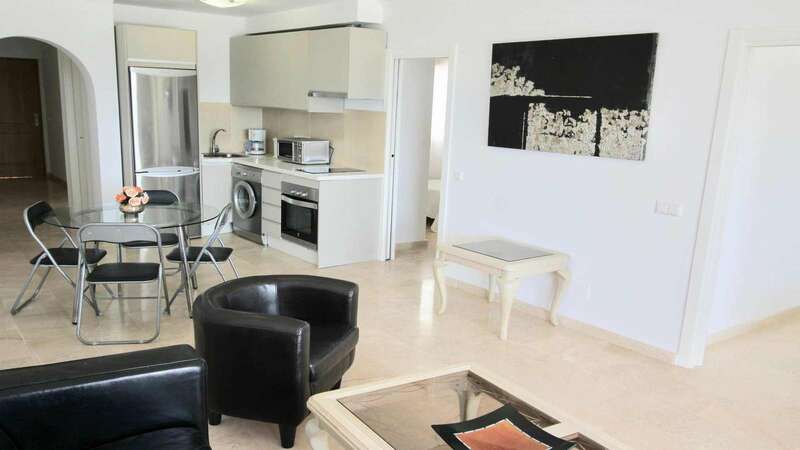 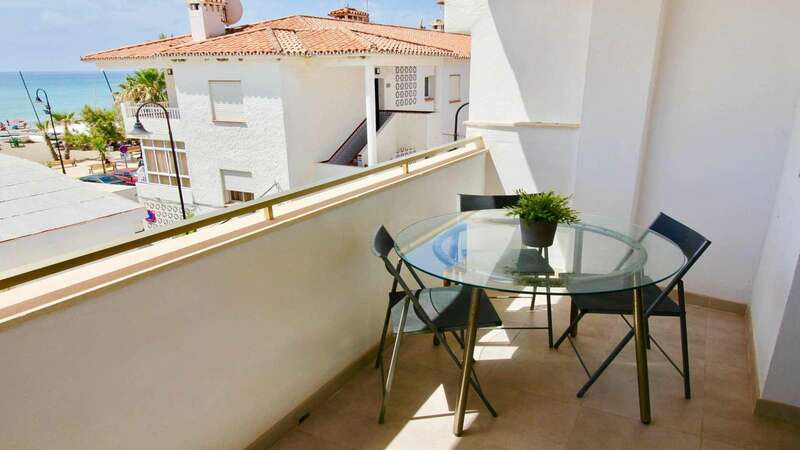 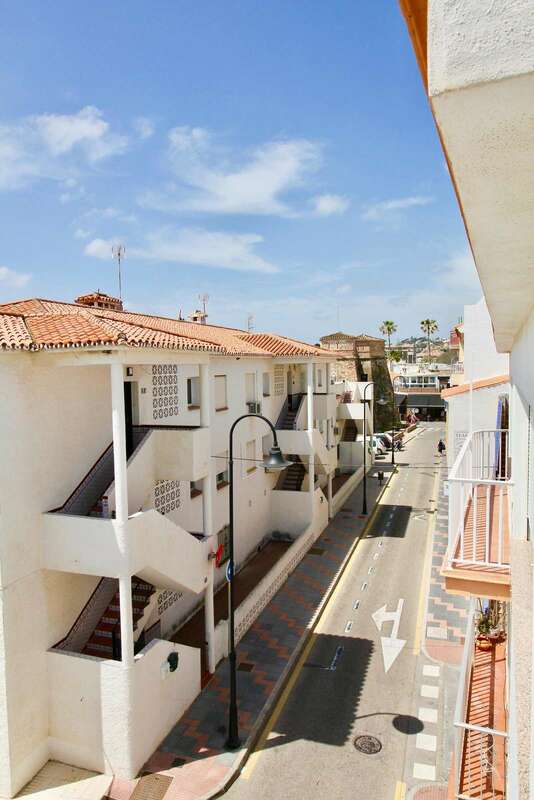 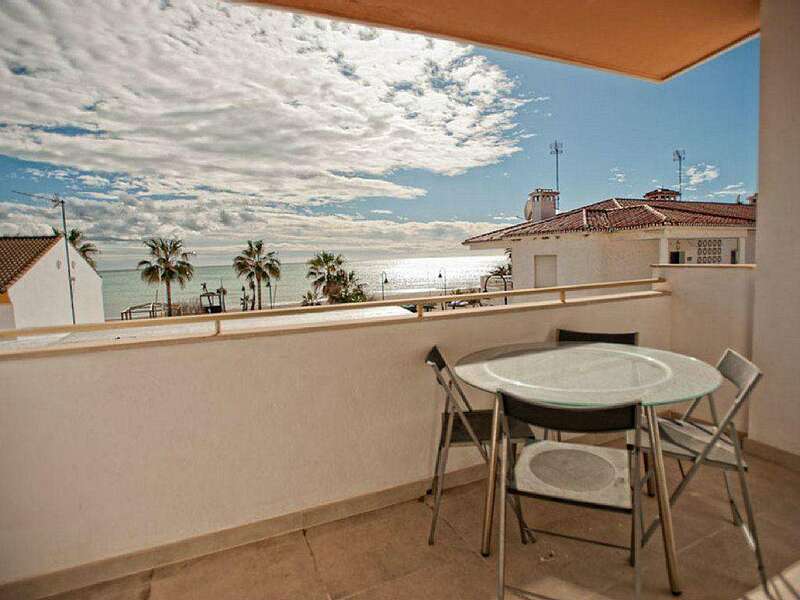 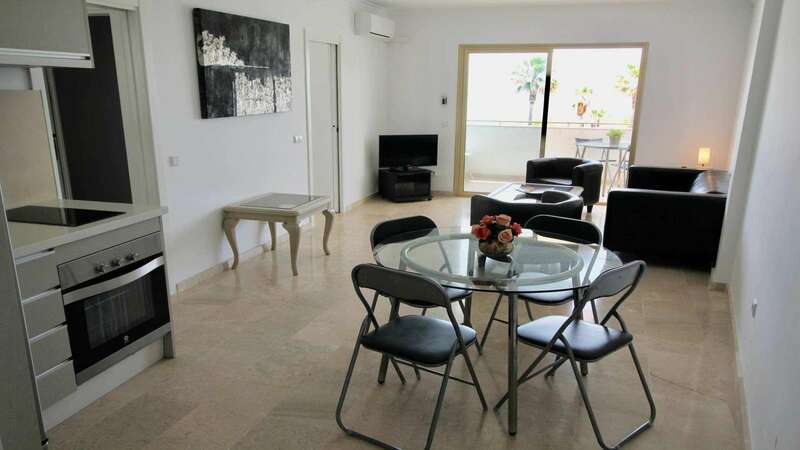 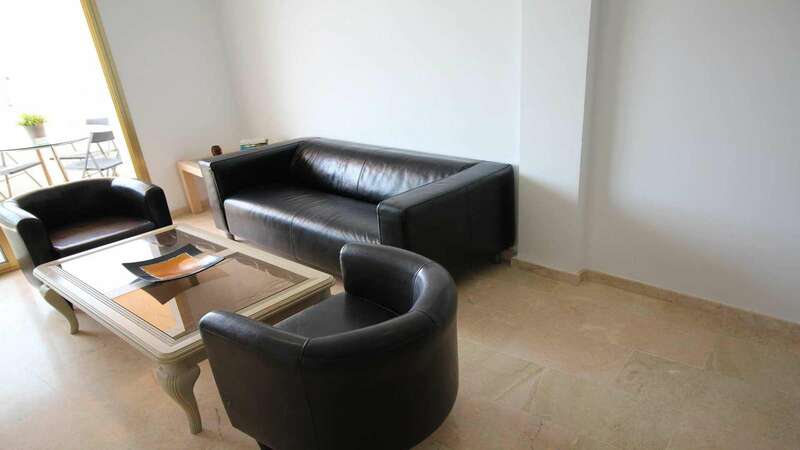 This modern and airy apartment is located in the the very heart of La Cala de Mijas, only 2 minutes to the beach. 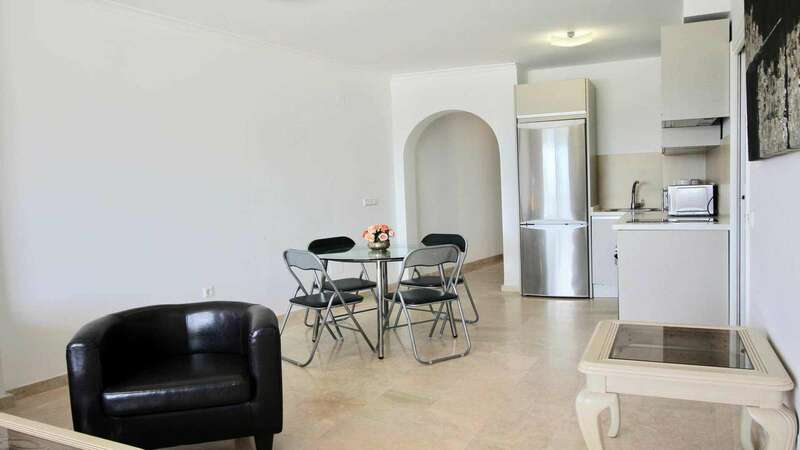 With a maximum capacity of 8 guests, it offers 3 bedrooms, 2 modern bathrooms, spacious living room, divided into dining and sitting areas, fully equipped kitchen. 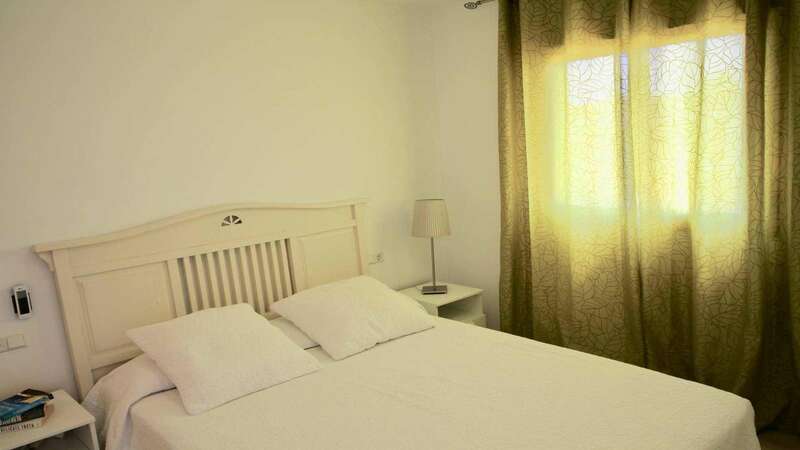 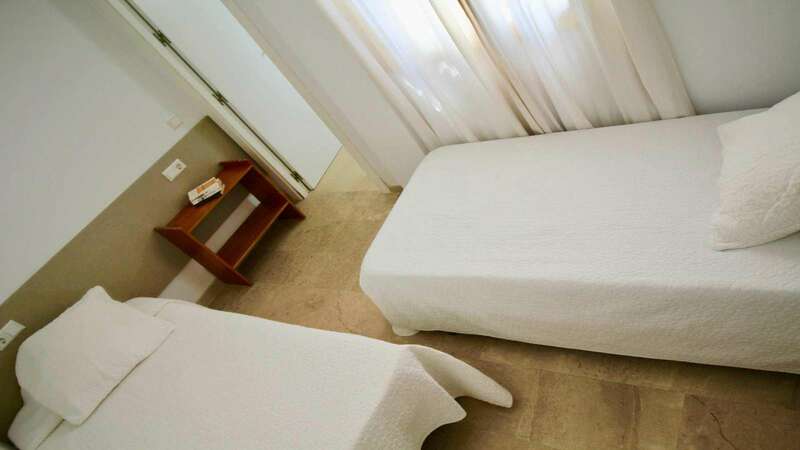 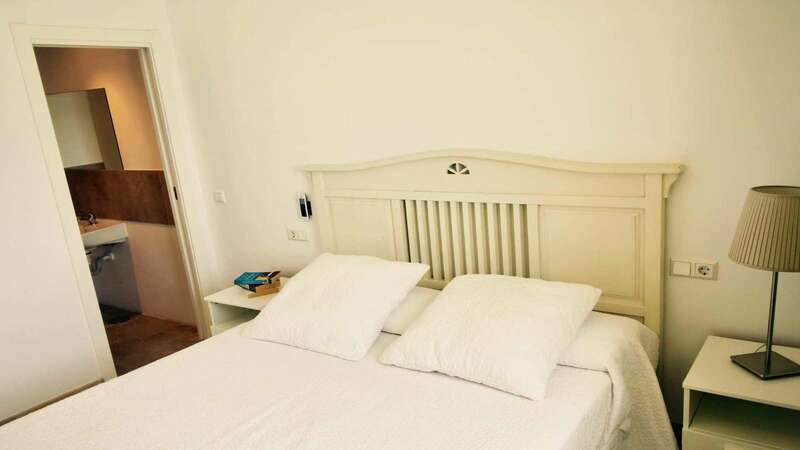 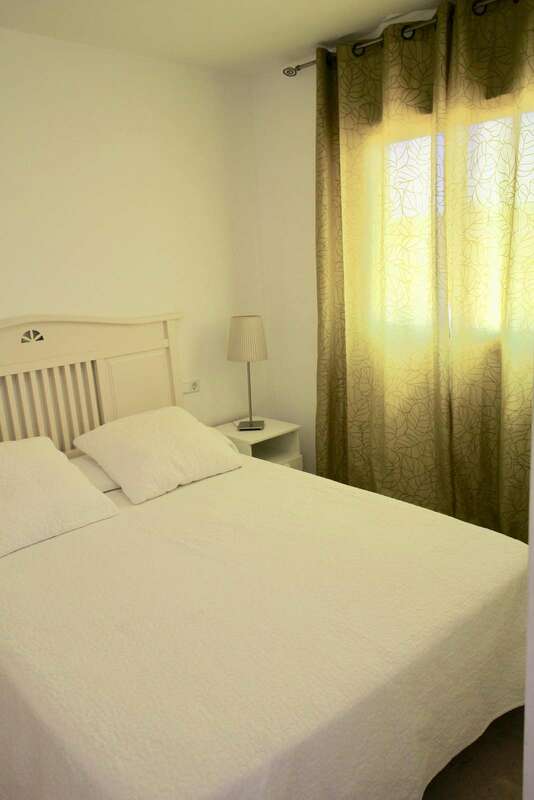 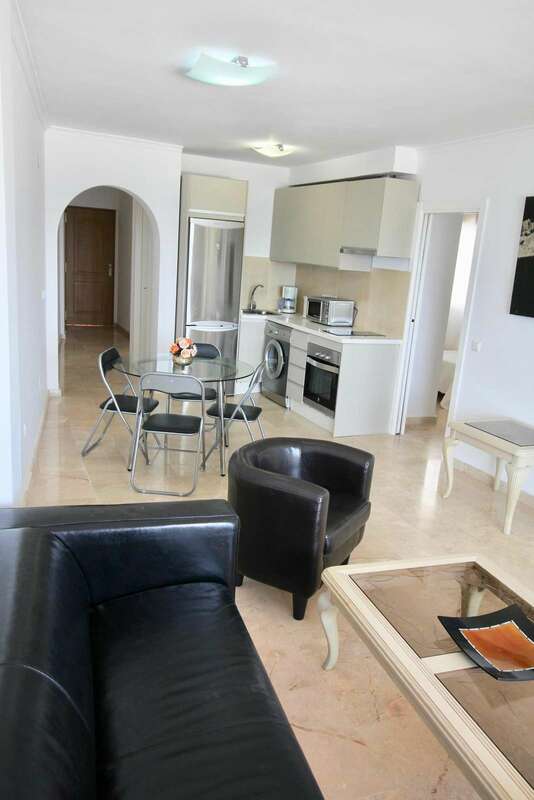 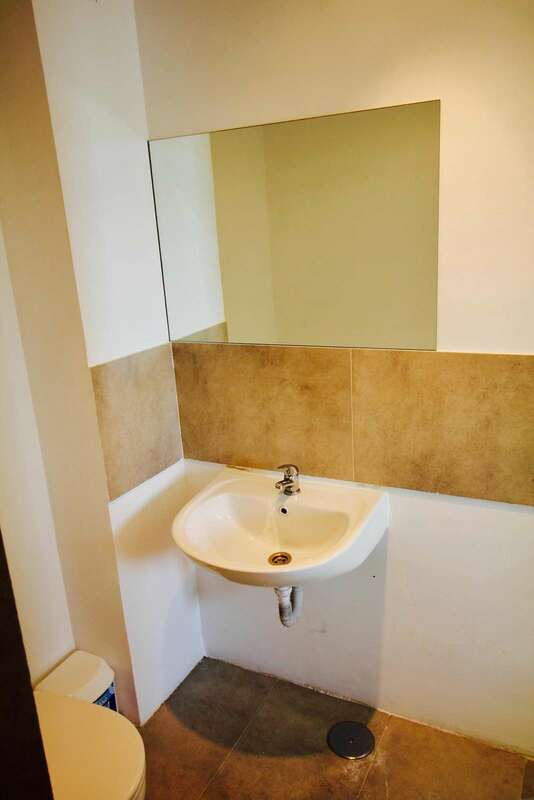 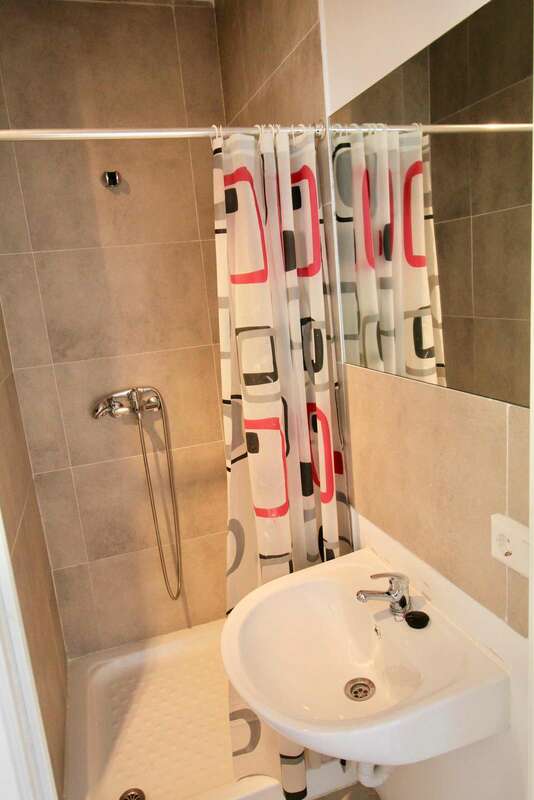 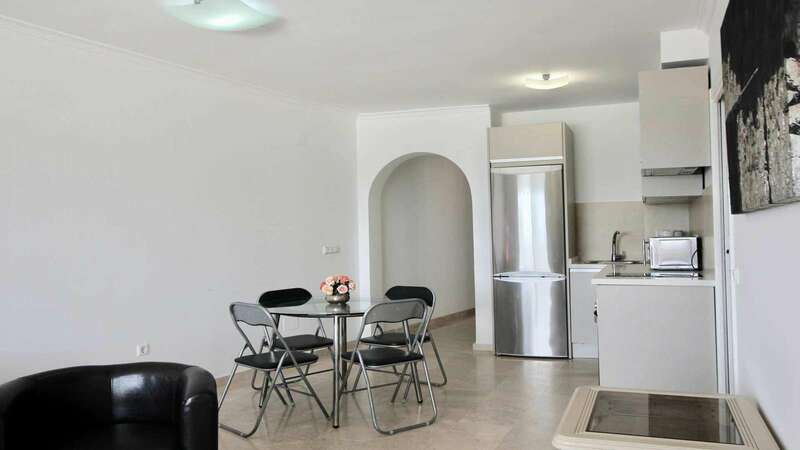 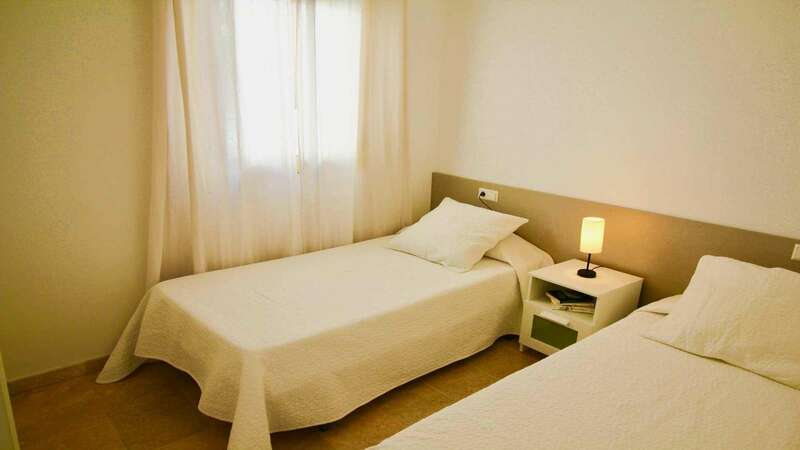 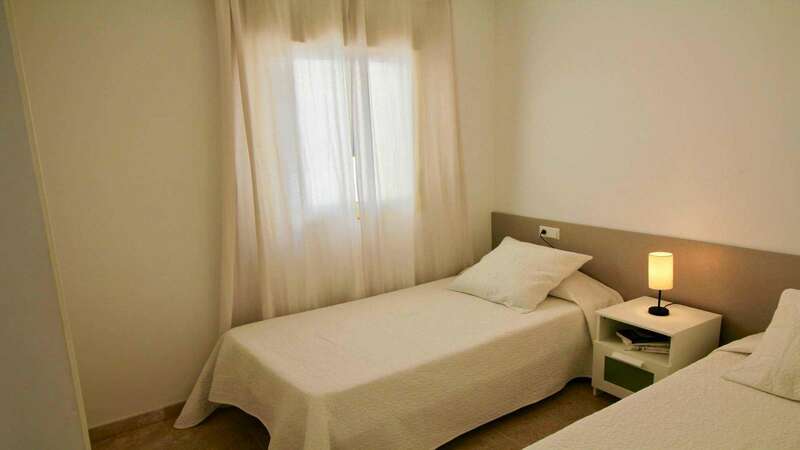 The location of this holiday apartment gives you a unique opportunity to enjoy the proximity of everything that you may want for your great vacation. 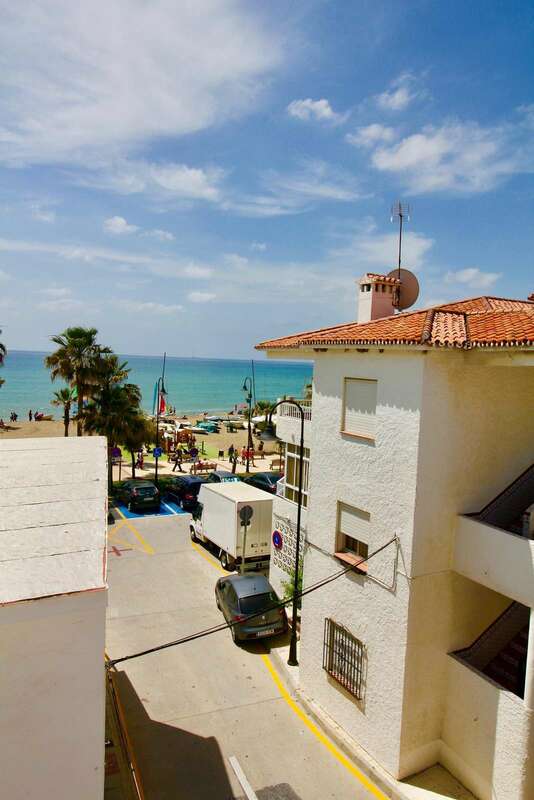 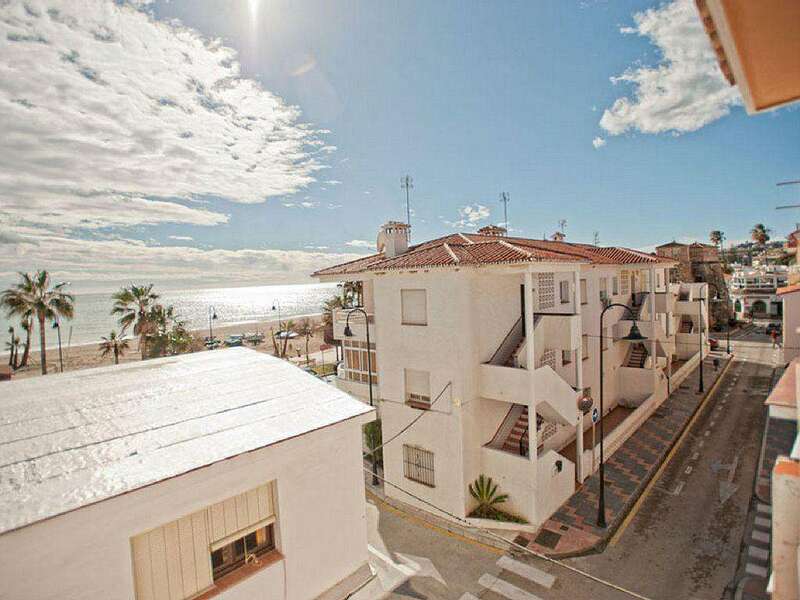 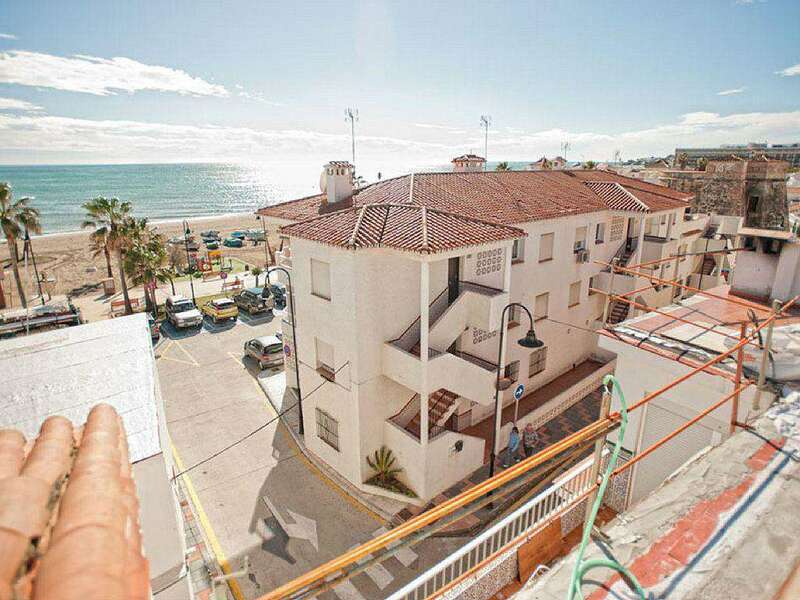 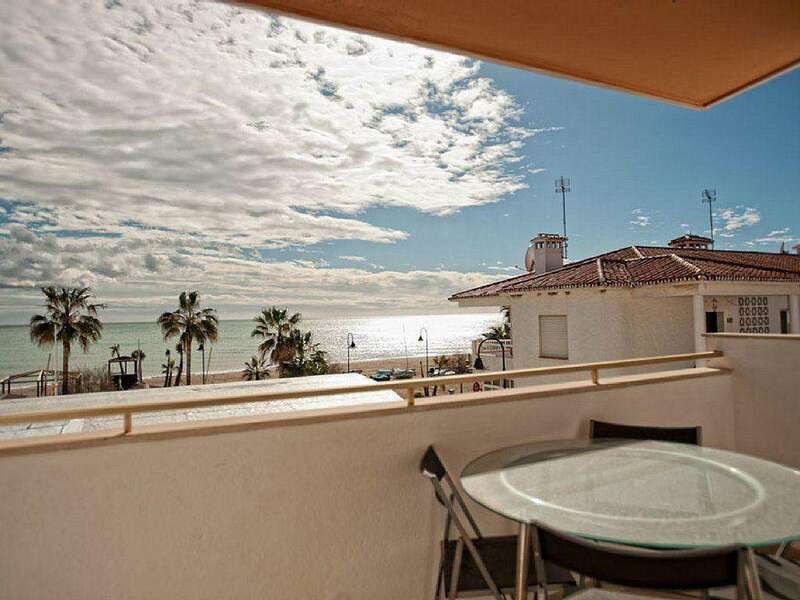 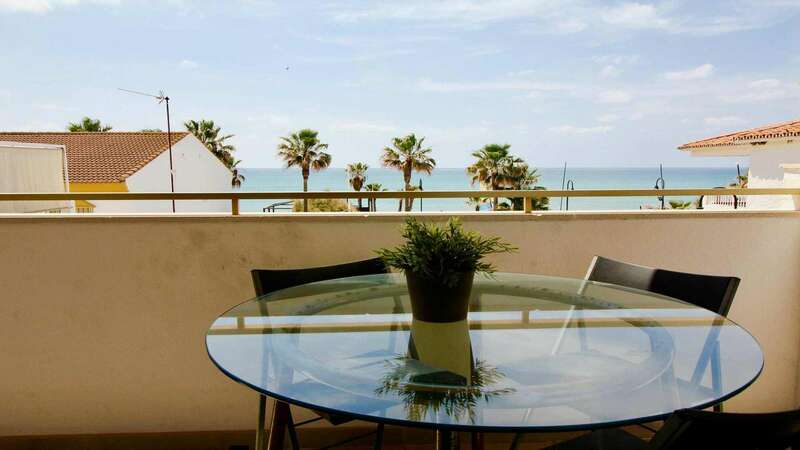 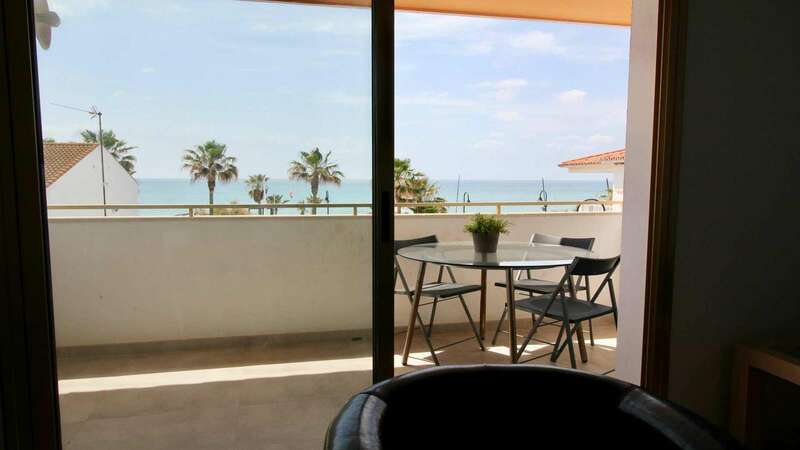 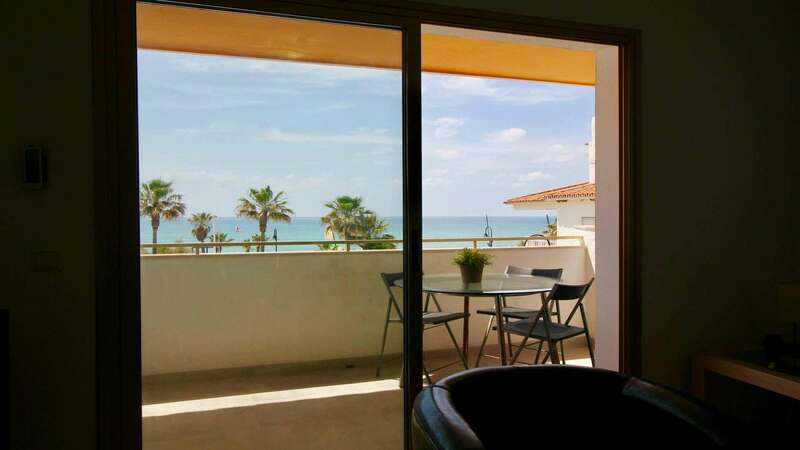 Wide sandy La Cala beach with its numerous restaurans, summer sport facilities and also supermarkets and other city perks of Cala village centre, all literally in a minute walk from this holiday apartment for rent. 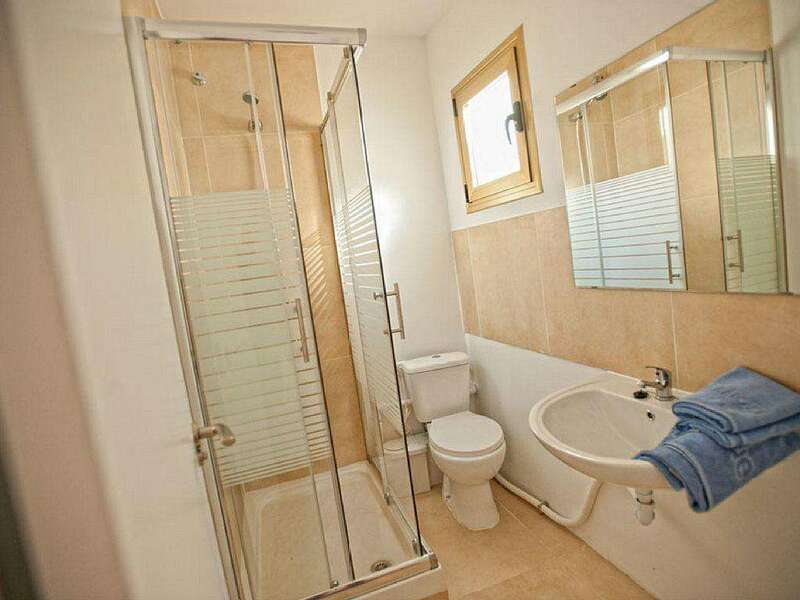 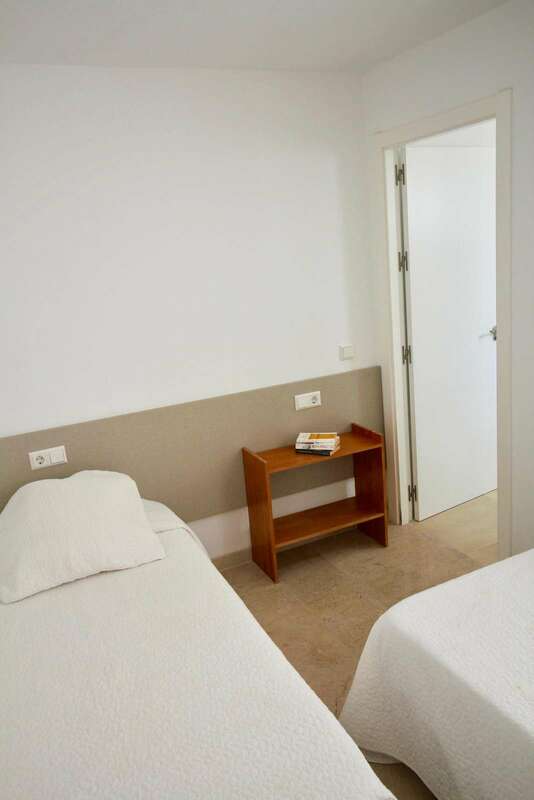 The apartment for rent has airconditioning throughout, fast internet and Wifi. 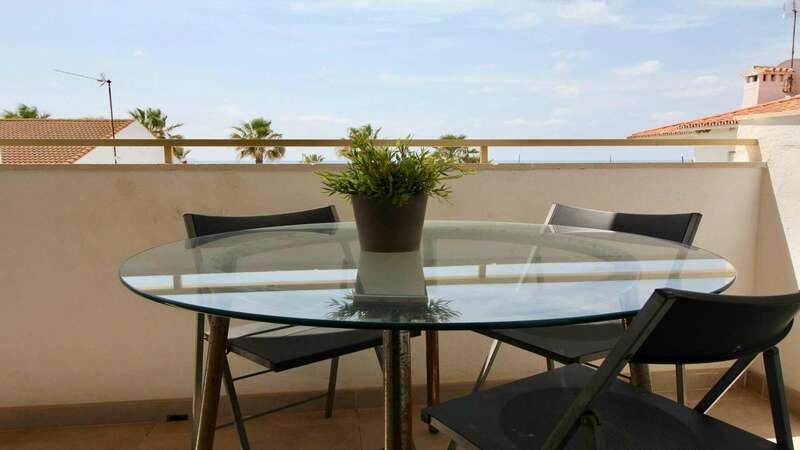 Two dining areas, one inside, the other at the terrace. 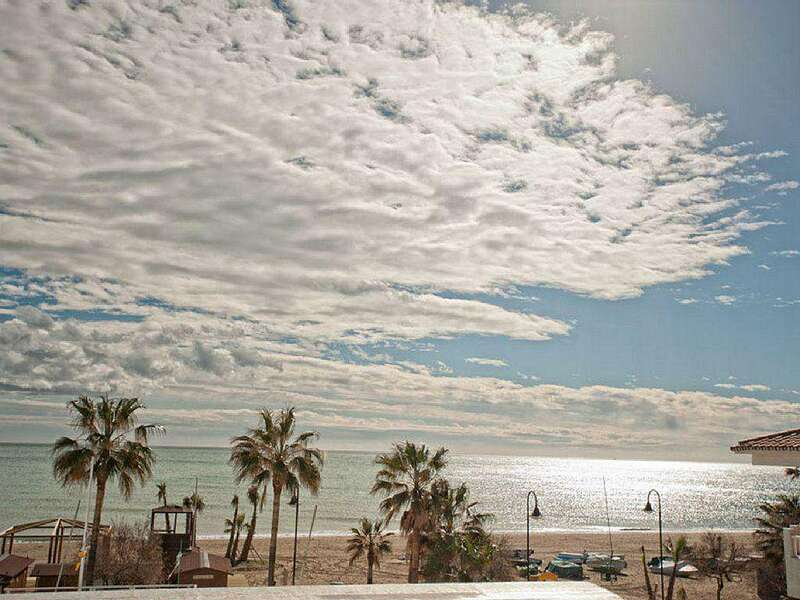 Beach is only a 1 min walk away. 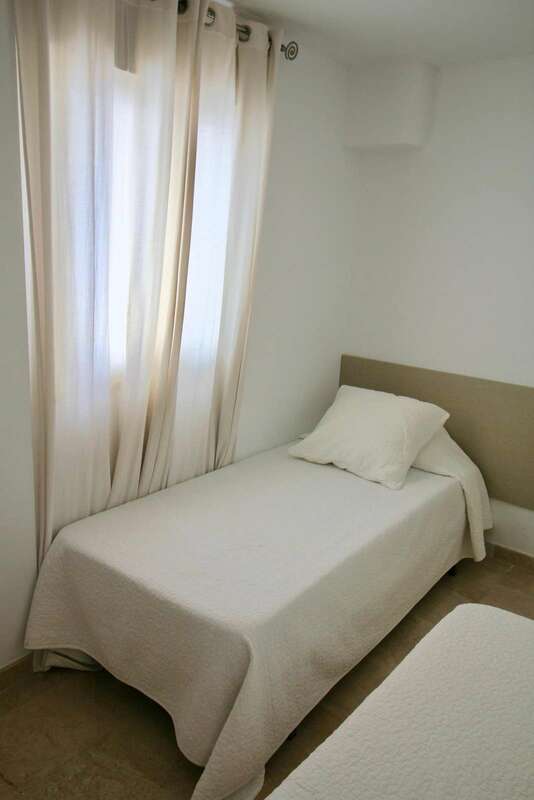 Air conditioning , internet, WiFi. 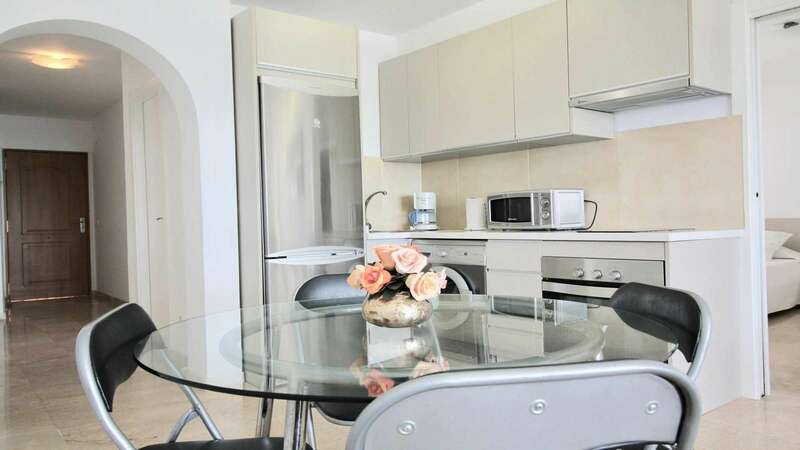 Modern, fully furnished apartment sits among exotic and lush tropical gardens, restaurants, bars with nightly entertainment programmes.